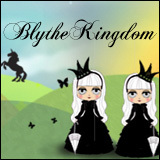 On a fairly regular basis, I think about all the Blythes that I want. When I do this, I end up tweaking my dolly wishlist quite a bit, for no other reason than to look at what I previously wanted and what I want now. It’s always good to have an up-to-date wishlist because it means I have a ready-to-go present list for anyone who wants to shop for me for my birthday (*hinthint*family*hinthint*). I have delusions of grandeur when it comes to bringing the still-elusive BL into my family. 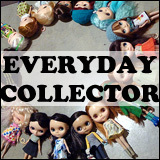 I have Kenners, EBL, SBL, RBL, FBL and RBL+ Blythes in my doll family. But I’m still missing a BL. Not that it is the be-all and end-all to the Blythe dynamics here, but I would like to one day have a BL. I have waffled between various stock dolls. One day I’ll love Sunday Best, then it’ll be Aztec Arrival, some considerations for Mondrian, and then I’m back at Sunday Best again. Those are the three BLs that my daydreaming keep coming back to. For Sunday Best and Aztec Arrival, it’s because of their long bangs (which I adore!) and the great photos I’ve seen of them in the past. For Mondie, it’s the crazed-eyes look she has going on. If you ask some members of my (human) family, i have too many dolls Oh, and they all “look the same”. Such sentiments sometimes just make me shake my head. After all, if someone were the collector of purses, couldn’t you say they all “look the same”? Same with shoes! One could argue that the fundamental design of shoes are all the same. But then you’d get into an argument of colours, and materials, and the small nuances that make each pair unique. In a way, that’s the same for Blythe as well. Even if some people don’t see it as clearly, there’s different hair styles, eye chips, make-up, hair colours, and then there are those wonderful personalities that we bestow upon our dolls. 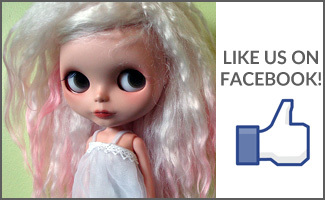 Nicky Lad RBL – cute stock look, cute stock items, and she’s the It Girl for BlytheCon 2015 in Vancouver. Sunday Best BL – the long bangs! the doe-eyed look! — Why don’t I have her already?! Another Kenner. a) Because three isn’t enough. b) Because I want a chunky-banged brunette. and c) Because I’d love her forever, and call her George. Question of the Week: New dolls or older ones? Question of the Week: Dream wishlist doll? QOTW: Who is on your wishlist? I’m always daydreaming of new to me dolls. I haven’t yet adopted a Kenner (one’s just slipped out of my grasp….sigh, next time). However, I do have 2 BL’s. Bonding with the first, a matt Hollywood, has been/is a slow process. The second, Aztec, arrived last week, cracked shoulders, (partial) crazy outfit n’all, and I LOVE her. There’s just “something about that gal”. Sunday Best and Mondie are also on my list (and Dottie keeps sneaking on there too). A friend asked me yesterday if I had to rescue just one doll which would it be? In a heartbeat, Aztec (or Teasel, as she’s known here). I have a Blythe Mango that should arrive here tomorrow and I am so excited. I have always wanted her for some reason but kept putting it off buying her. Mango just always spoke to me..I love her coloring. Can’t wait to see her! Love your entire website! Thanks! I still want a Kenner. Also a Cloud 9 Bowl and Goldie.